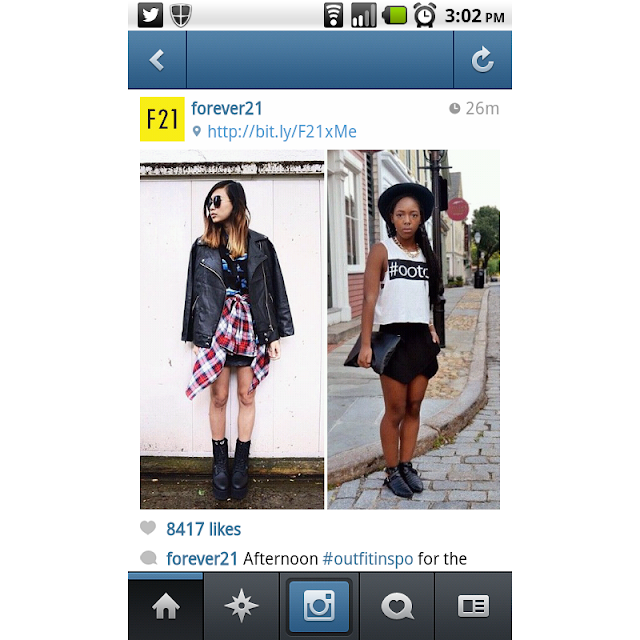 Couturing: I'm On Forever 21's Instagram! I'm On Forever 21's Instagram! I had to screenshot!! I hashtagged my outfit yesterday with #F21xME and tagged them, and they posted it along with Alyssa of Ordinary People!